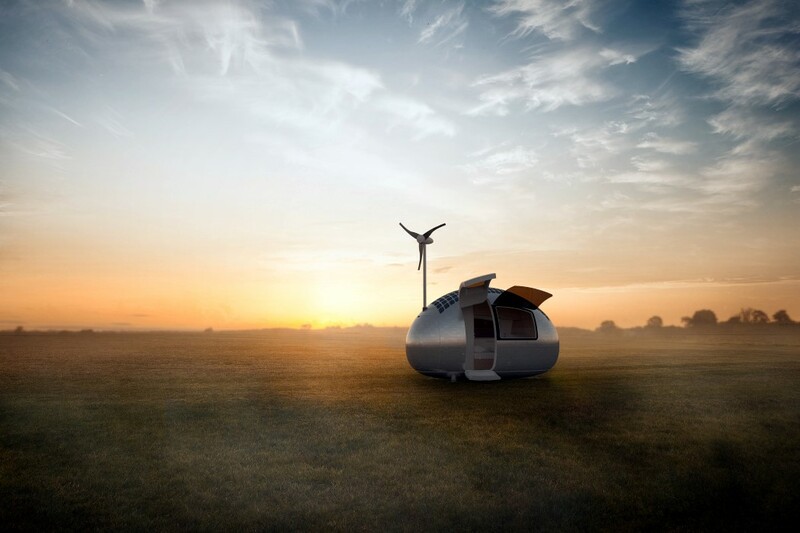 Home Design Eco Energy Environment featured This Ecocapsule Can be Your Future Home on The Go! 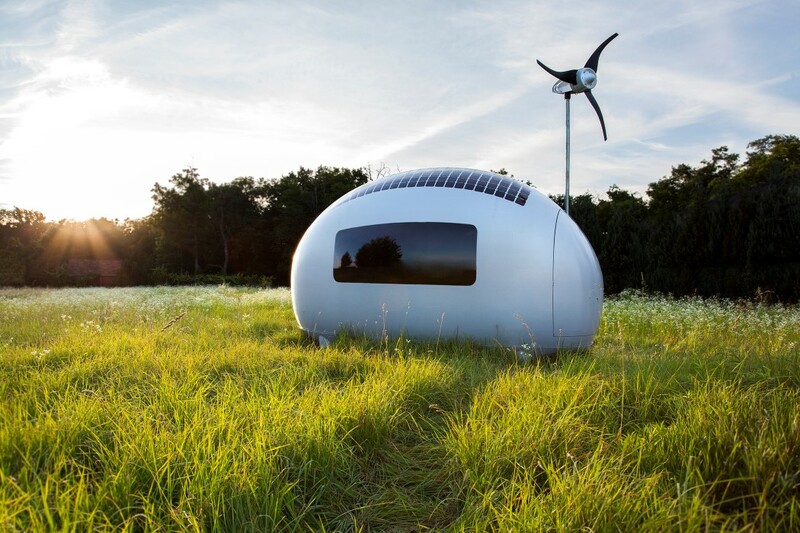 This Ecocapsule Can be Your Future Home on The Go! Ecocapsule is a self-sustainable smart house powered solely by solar and wind energy. It allows you to live off-the-grid, with the luxury of a hotel room. Ecocapsule is your design way to independent housing. It can serve as a cottage, pop-up hotel or even as a charging station for electric cars. 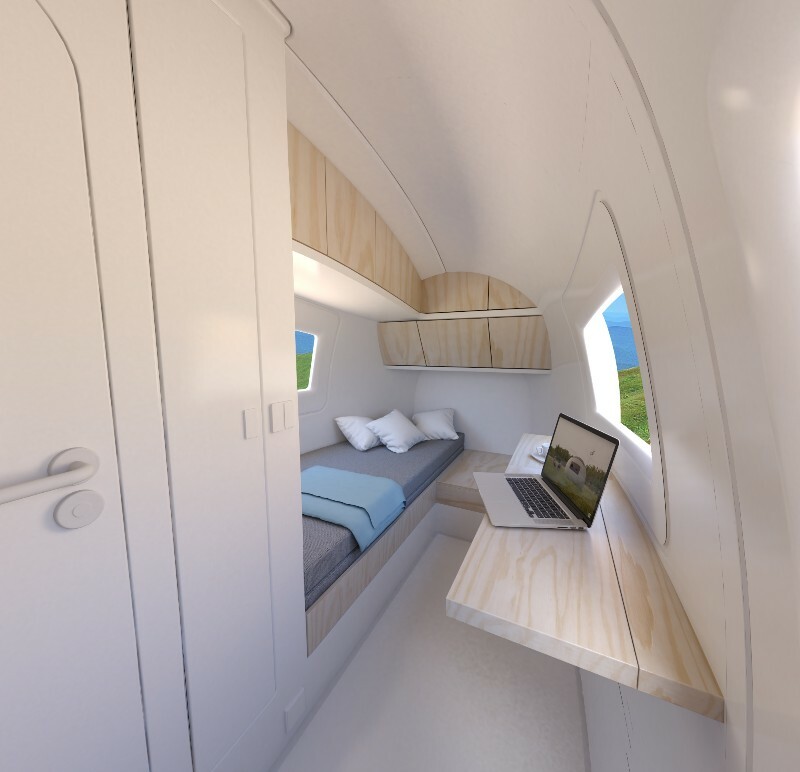 The spherical Jetsonian shape also allows the Ecocapsule to have massively hollow walls which are filled with hi-performance thermal insulation material, allowing the Ecocapsule to be used in the harshest of weathers with its residents barely being able to tell the difference. Don’t like where you’re living? No problem. The Ecocapsule is small enough to fit into a standard shipping container and be carried to wherever you want to take it! The installed solar power is 600 Watts. We have chosen high-efficiency solar cells in order to maximize energy production. Low-noise wind turbine is delivering up to 750W during day and night. Telescopic pole, on which turbine is placed, can be easily folded for smooth transportation. The wind turbine can produce electricity 24 hours a day. The unique shape of Ecocapsule not only minimizes heat loss, but also provides the most important thing for life: Water. Rainwater is collected on the surface, where it’s collected to water tank and filtered for your convenience.